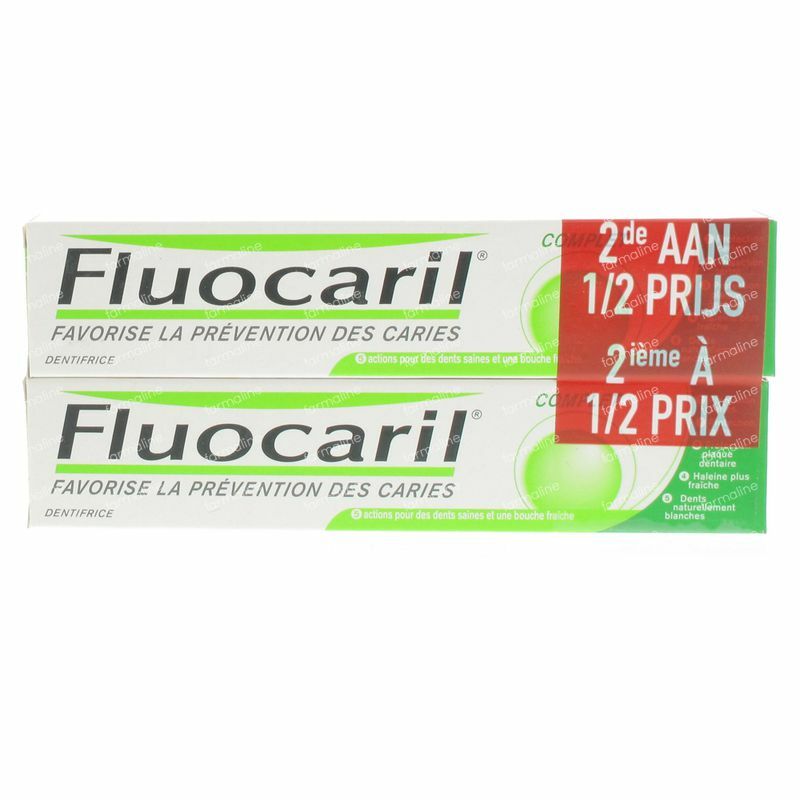 Fluocaril Toothpaste Complete Duopack 2nd - 50% 75 ml order online. Works on these 5 signs to improve welfare of your teeth as those of your family. The fluorine formula with pro-mineral complex helps to strengthen the enamel, protects your teeth and ensures efficient cleaning of your teeth. Aqua, Sorbitol, Hydrated Silica, Sodium Lauryl Sulfate, Cellulose Gum, Aroma, Zinc Citrate, Chondrus Crispus Powder, Cl 77891, Sodium Fluoride, Sodium Saccharin, Hydroxyethylcellulose, Sodium Citrate, Stannous Chloride, Silica, Limonene, Cl 74160.